The New Jersey Employment Lawyers at Smith Eibeler, LLC conduct workplace complaint investigations on behalf of employers throughout the State of New Jersey. In order to shield itself from liability for claims of hostile work environment under the New Jersey Law Against Discrimination, New Jersey employers must maintain an effective policy against unlawful harassment and discrimination at the workplace. An effective anti-harassment and discrimination policy requires employers to investigate complaints of harassment promptly, thoroughly and completely. All complaints of sexual harassment and other forms of discrimination, including race, national origin, religion, gender, sexual orientation and disability must be fully investigated. 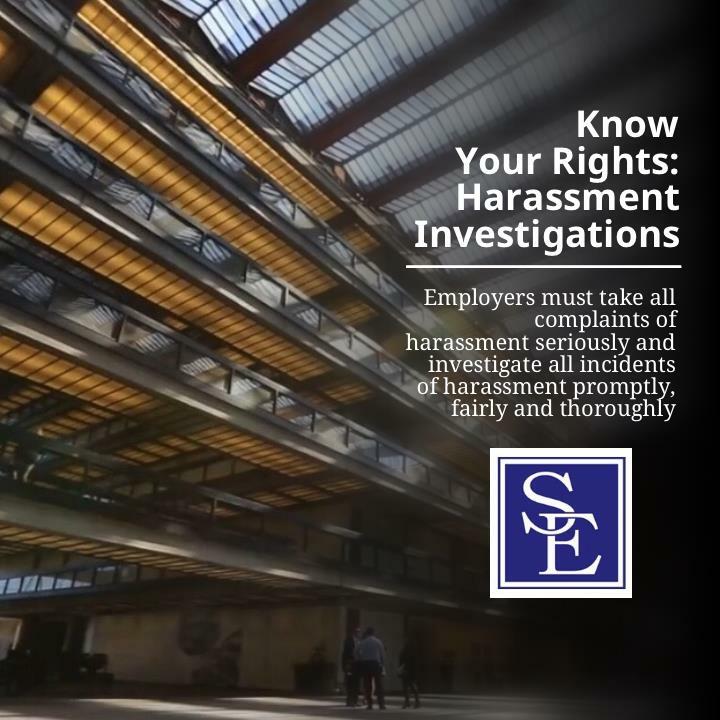 A complaint of unlawful harassment or discrimination need not be put in writing to trigger the employer’s obligation to conduct the investigation. A complaint that requires an investigation can be an informal comment of dissatisfaction or an objection of inappropriate behavior of a co-worker or supervisor. An employer’s obligation to conduct an investigation is for any claim of unlawful harassment or discrimination that the employer knows or should know that has occurred at the workplace. a statement of assurance that the employer will take immediate and appropriate corrective action when it is determined that harassment has occurred. New Jersey employers must also provide periodic training to its supervisors and managers concerning their responsibilities regarding the employer’s anti-harassment and anti-discrimination policy. The training should, at minimum, provide the supervisors and managers the types of conduct that will violate the anti-harassment and discrimination policy, the seriousness of the employer’s policy against harassment and discrimination, the duties and responsibilities of the supervisors if they learn of allegations of harassment and discrimination and a clear prohibition against retaliation for making complaints or participating in a harassment or discrimination investigation. When it comes to preventing unlawful harassment and discrimination at the workplace, the old proverb that an ounce of prevention is worth a pound of cure clearly applies. If you are an employer who does not currently have an effective anti-harassment and discrimination policy in place, contact the New Jersey employment lawyers at Smith Eibeler for a consultation regarding the actions that need to be taken in order to limit the company’s exposure of a future claim of unlawful harassment or discrimination.